Agents located in Colorado and Florida. We are licensed and bonded to work with you no matter where you live! Welcome to Cruise and Tour Experts! Cruise and Tour Experts is your one-stop-shop for Tours, Flights, Cruises, Vacation Packages and Group Travel. When it comes to travel, you need an expert on your side! We do not just find our clients cheap trips, we have the experience and the know-how to find high quality travel at affordable prices. We have made solid relationships with suppliers around the world to provide you with the best price and travel experience possible. We hold the highest level of licensing, certifications and accreditations the travel industry provides. Cruise and Tour Experts was founded by Rudy and Kim Gonzales, ACC. Kim, with 24 years travel industry expertise, has experience in selling cruises, tours, and groups of all sizes. She completed travel training at the Colorado School of Travel in 1993 and went on to achieve the ACC, Accredited Cruise Counselor designation, from the Cruise Line International Association. Kim has worked for companies such as Cruise Holidays, Royal Caribbean and Celebrity Cruise Lines, and taught sales and geography at The Travel Trade School. Kim has traveled the world and sailed on all major cruise lines. Many trips have been made to scout the best hotels, restaurants, transportation options and meeting facilities in major cities around the world. All Cruise and Tour Experts Travel Agents attend countless trade shows and industry events to keep abreast of current travel trends. 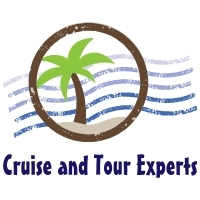 The entire team at Cruise and Tour Experts would like to thank you for allowing us to be your experts in travel! NEW! Sports and Special Events Packages!! We can completely customize an itinerary to suit the needs of your group. You may also book online 24 hours a day! Select Air, Hotels, Cars, and Vacation Packages on the Home Page. Cruise and Tour Experts, LLC is fully licensed to sell travel insurance. Resident Agency License #370598 and Resident Producer License #367792.